What better way to celebrate the start of the week than by featuring one of our CollegeMobile-made apps (soon to be Push Interactions-made apps!). It occurred to me the other day that I never really talked about this awesome app when we launched it last year. 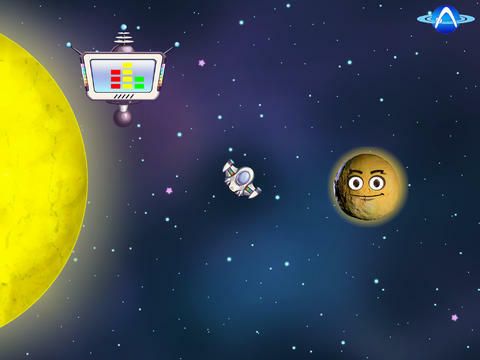 The Space Stretch iPad App made for little ones to help them explore our solar system while practicing yoga! This app is based on the television show Space Stretch created by Cheshire Smile in Saskatoon. I love that this app not only teaches kids about our solar system, but also keeps them moving and in shape through yoga! 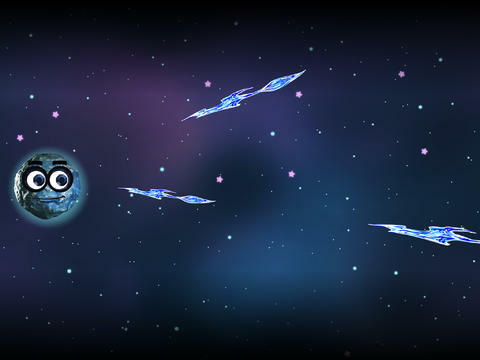 Children pilot the space ship, The Century Condor, around the solar system and discover planets in crisis. Most of the problems are caused indadvertedly by captain Crash Tanga’s kooky family! To save the planets from the Tanga family children must generate stretch and concentration energy through yoga postures. The app combines short interactive yoga sequences and videos with playful outer space discoveries and touch-based activities to engage children in the creative animated world of Space Stretch. All of the Space Stretch characters are likable and great at leading the kids in all of the different yoga poses. I also really like the adorable planets who come to life in the show and the app! You can watch all of the Space Stretch episodes on City TV’s website HERE and you can download the Space Stretch app for FREE HERE! As always if you have an app idea or would us to give your creative content a second life, please don’t hesitate to contact me: contact@collegemobile.com or 1-800-298-7081 ext 720.